Keeping the diverse requirements of the customers in mind, our company is involved in offering superb quality range of Florence Flask. BD Falcon(TM) 25 cm Cell Culture Flask, 50 ml, tissue-culture treated polystyrene, canted neck, blue plug-seal screw cap. 20/bag, 200/case. Owing to the rich industrial experience and expertise in this business, we are engaged in providing Filtering Flask. Borosilicate Glass 250ml. pack of 6 pcs. cartoon Box. In order to keep pace with never ending demands of customers, our company offers high quality range of Erlenmeyer Flask. This Erlenmeyer Flask is extensively used for measuring the quantity of element in laboratories. Our product range is highly appreciated amongst customers for its light weight and rugged construction. Our clients can avail from us an extensive array of Volumetric Flask. We employ cutting edge technology and quality tested material in developing these flasks. 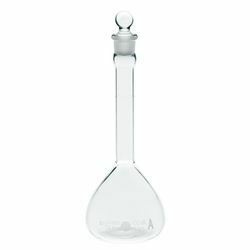 These Volumetric Flasks are widely acknowledged for their features like strong, unbreakable and clarity. To avoid leakage, these autoclavable Volumetric Flasks are equipped with screw caps. 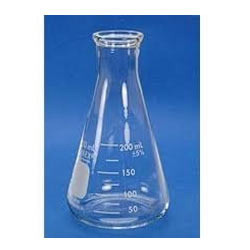 Being pioneers of the industry, we are offering a quality tested array of Round Bottom Flask. The Round Bottom Flask, we offer is available in various sizes and specifications. These products are made under the skilled expertise of our professionals, as they have advance knowledge of the domain.